CALUMET — The sign at the site of the Italian Hall in Calumet says 1913 was a time of division. More than 100 years later, the people of Calumet are again divided. This time instead of over labor issues,a memorial to the victims who died in that horrible tragedy. 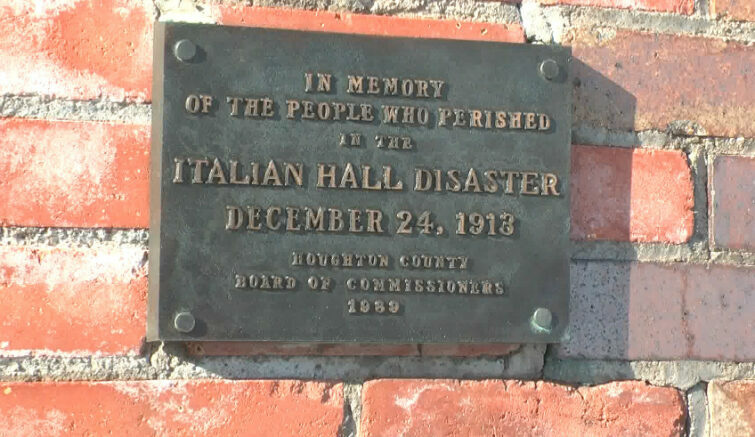 “The Italian Hall disaster goes on and on,” Village Trustee Peggy Germain said. 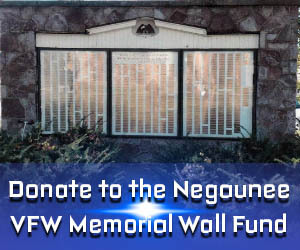 A special meeting of the Calumet Village council was held Tuesday where they heard a challenge from members of the public over last week’s decision to approve the material for the memorial that will display the names of the victims. Granite or glass? Those were the two final options a divided committee voted on but only the granite option was pitched to the village council by committee member Mike Lahti at their regular March meeting. Outraged that both materials were not presented, committee member Penny Menze organized a petition drive calling for a public workshop to get more input before any decision was set in stone. Despite the objections, a motion to rescind the council’s approval of the black granite failed to get a second and a follow up motion to seek more public input moving forward fell on yet another split vote-three to three. Sometime this summer, a dedication ceremony is expected to be held at the Italian Hall Site for the installation of a seven foot by four foot stone to remember the names of those who needlessly died during a time when people couldn’t agree.